This dog brings miracles to children’s lives. Dogs are dubbed as human’s best friend, and I agree. Every dog owner would certainly agree to what I said. If you are a dog owner, you will be able to witness how extraordinary a dog’s loyalty is to his/her owner. But what if the dog has come from extreme abuse, would the dog still show kindness to the world? Take a look at this. 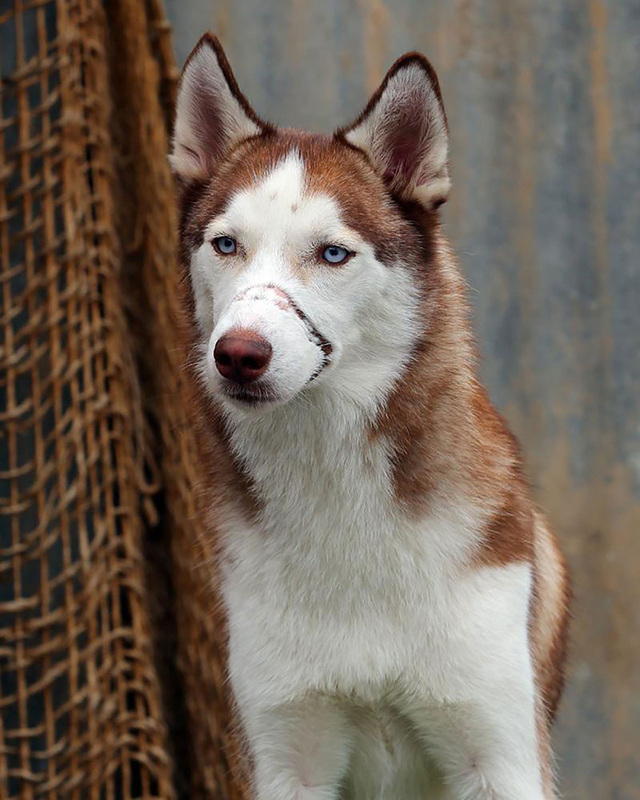 Mistreated and scarred as a puppy, Patriot the Husky now helps children who have been victims of abuse. Kids who have suffered physical or sexual abuse in Orange County, California, find strength to testify in court through the help of Patriot, who also knows the pain of abuse and neglect. When they see the scars on Patriot’s muzzle, “they know that he’s been through a lot, just like they have,” said Kevin Marlin, 47, who adopted Patriot from the Orange County Society for the Prevention of Cruelty to Animals. Marlin, who’s been involved with pet therapy for the past 10 years, adopted Patriot in 2012. 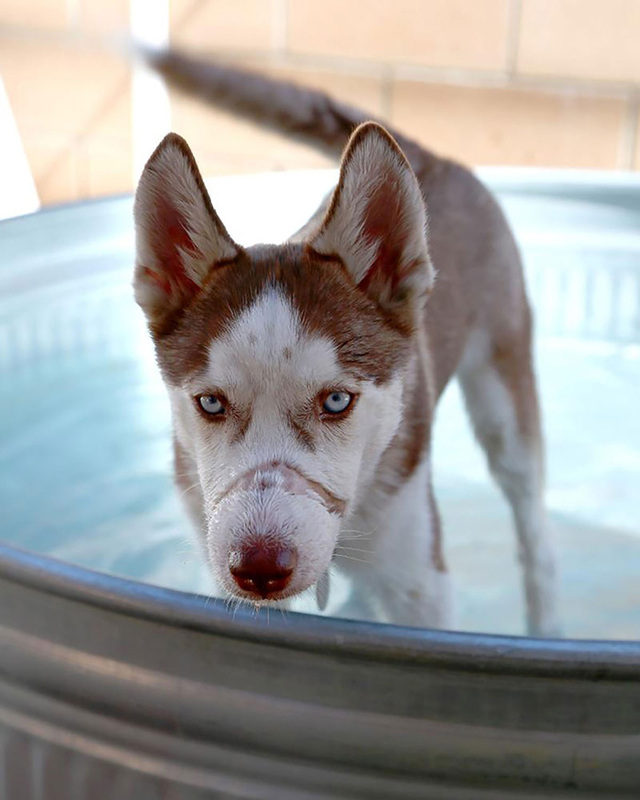 He was 4 months old at the time and had severe injuries to his mouth caused by metal wire wrapped tightly around his snout. Patriot needed several surgeries to help repair the damage. Marlin gradually taught Patriot to trust again by coating his fingers with peanut butter and letting the dog lick it from his hands. Over time, Patriot allowed himself to be petted on the muzzle, and within a year, he didn’t mind wearing a collar again. 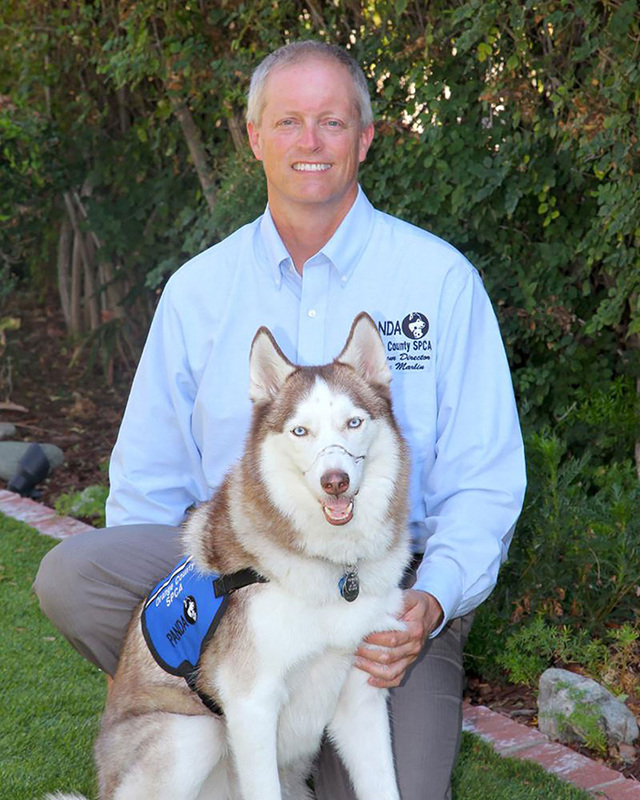 Marlin and Patriot currently work with Orange County’s PANDA Program — PAWS Assist the Needs of the District Attorney. Patriot is one of 13 therapy dogs that help young victims feel more secure when telling their stories. Volunteers and their therapy dogs have provided child abuse victims with the support of gentle and loving dogs at 65 meetings in Orange County.